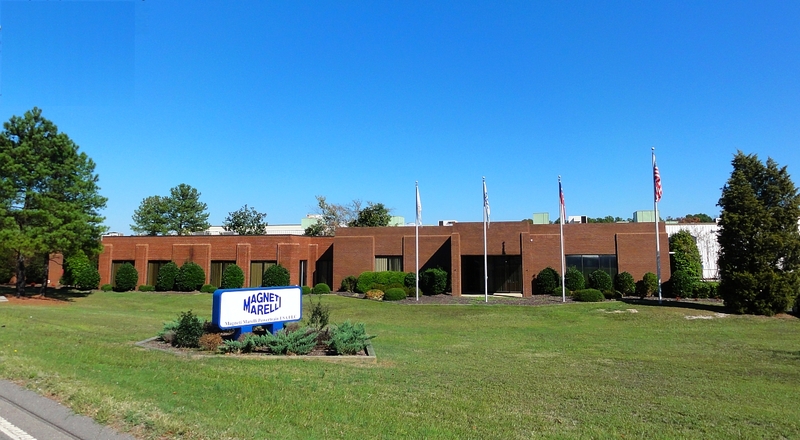 Magneti Marelli celebrates the 40th anniversary of its plant in Sanford, North Carolina – USA. Inaugurated in 1976, the plant is dedicated to the production of automotive powertrain technologies. Over its 40 year history, the plant has evolved from producing carburettors into modern powertrain systems including intake manifolds, electronic throttle bodies and engine control systems for automobiles, motorcycles, powersports, and industrial engines. This important anniversary is celebrated with a Family Day that involved all employees and their families. The plant is located in Sanford, about 30 miles from Raleigh (the capital of North Carolina). It covers an area of almost 90 thousand square meters. The site is also a technical center for product development. There are currently about 400 employees in the facility. Over the years, the Sanford plant has obtained TS 16949 and ISO 9001 quality certifications, ISO 14001 environmental certification and OHSAS 18001 health certification, a proof to Magneti Marelli’s dedication to quality and safety. Core operations within the Sanford facility include aluminium die casting, complex machining, injection molding, and assembly. Such vertical integration is rare for these components and promotes the ability to be highly flexible to customer volume fluctuations. Sanford produces various components including highly technical air intake manifolds. These types of intake manifold uses sophisticated electronic control systems to regulate air and gas fluid dynamics aimed at maximizing performance, reducing fuel consumption and CO2, and reducing engine noise. The production, carried out for major manufacturers such as FCA, VW, Harley-Davidson, Polaris, and Mercury Marine, illustrates the level of innovation and technological development of Magneti Marelli. Its attractive location is just a short distance from the Research Triangle Park and the nation’s premier automotive hubs. Magneti Marelli can rely on a longstanding presence in North America in the Powertrain, Lighting, Electronic Systems, Suspension Systems (Shock Absorbers), Exhaust Systems, After Market and Motorsport businesses. Magneti Marelli’s North American headquarters are located in Auburn Hills, Michigan. El Paso, Texas: logistics and warehouse.